Gitani Stone work vigorously to extract this unique material from the heart of the Australian outback. 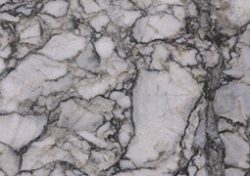 Part of the Exclusive Natural Stone Collection, Iron Lace Marble is in popular demand, loved by renowned architects and designers from around the world! With its deep and irregular grey veins contrasting cream tones, this velvety essence promises the most profound elegance of all.